Background Despite national and international guidelines and recommendations, inappropriate prophylactic antibiotic use for clean wound surgery remains a common phenomenon in many Chinese hospitals, causing higher medical costs and bacterial resistance. Objective To improve the prescribing behavior for antibiotic prophylaxis and decrease antibiotic abuse and/or misuse in clean wound surgery. Setting The teaching hospital of a medical university in Southwest China. Methods A collaborative multidisciplinary program involving educational, technical, and administrative strategies was undertaken. It was characterized by a monthly evaluation by clinical pharmacists for randomly selected cases of clean wound surgery, as well as a group discussion attended by correlative personnel, consisting of the administrative staff, experts from the Rational Drug Use Committee, clinical pharmacists and surgeons. Main outcome measure The overall incidence of antibiotic prophylaxis, appropriate antibiotics selection, appropriate initial dosage timing, proper drug combination and the duration of antibiotic prophylaxis were measured. Results from 2009 to 2014, the rate of antibiotic prophylaxis for clean wound surgery declined from nearly 100% to 20–30%. Improvements were also observed in drug selection, timing of the first dose, and dosage and duration for antibiotic prophylaxis. Broad-spectrum antibiotics and enzyme inhibitors have seldom been used after 2011. The medical cost for antibiotics also decreased. Conclusion A collaborative multidisciplinary program, together with a group discussion, is efficient for improving rational antibiotic prophylaxis for clean wound surgery. 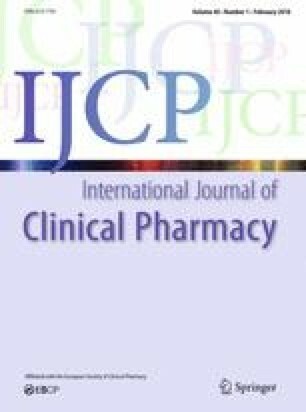 This study indicates that clinical pharmacists can play a pivotal role in providing the professional evaluation of medical cases, education, and intervention. Hong Chen is the co-first author of this article. We would like to thank all pharmacists, experts from the Rational Drug Use Committee and administrative staff who participated in this program. We thank all doctors and nurses in our hospital for their support and assistance. National Health and Family Planning Commission. Guiding Principles for Clinical Application of Antibiotics. NHFPC Publication no. 38; 2009. http://www.moh.gov.cn. National Health and Family Planning Commission of the People’s Republic of China. Notification on launching national regulatory campaign of clinical application of antibacterial drugs. 2011. http://www.moh.gov.cn/mohyzs/s3586/201104/51376.shtml. Accessed 28 Apr 2017. (in Chinese).